Not to be confused with Fruit of the Holy Spirit. For the charisms listed in the New Testament, see spiritual gift. 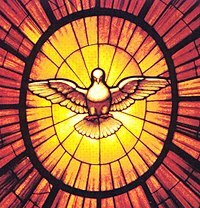 Stained glass symbolic representation of the Holy Spirit as a dove, c. 1660. The Seven gifts of the Holy Spirit are an enumeration of seven spiritual gifts originating from patristic authors, later elaborated by five intellectual virtues and four other groups of ethical characteristics. They are: wisdom, understanding, counsel, fortitude, knowledge, piety, and fear of the Lord. The seven gifts are found in the Book of Isaiah 11:1-2, where the Biblical passage refers to the characteristics of a Messianic figure understood by Christians to be Jesus Christ empowered by the "Spirit of the Lord". In the Hebrew Masoretic text the "Spirit of the Lord" is described with six characteristics (wisdom, understanding, counsel, might, knowledge, fear of the Lord), and then the last characteristic (fear of the Lord) is mentioned a second time. 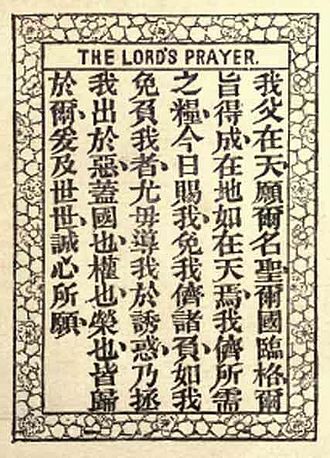 In the Greek Septuagint the first mention of the fear of the Lord is translated as "spirit of [...] godliness" (πνεῦμα [...] εὐσεβείας). 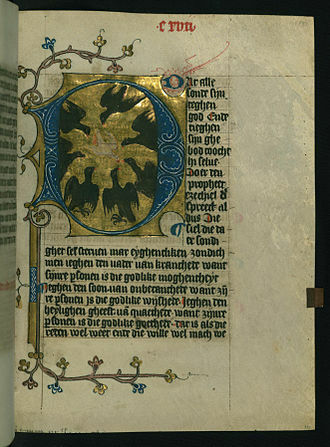 The Seven Gifts of the Holy Spirit is one of several works in Christian devotional literature which follow a scheme of seven. Others include the seven petitions of the Lord's Prayer, the beatitudes, the seven last words from the cross, the seven deadly sins, and the seven virtues. 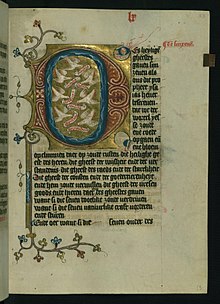 The seven gifts were often represented as doves in medieval texts and especially figure in depictions of the Tree of Jesse which shows the Genealogy of Jesus. For Saint Thomas Aquinas, the dove signifies by its properties each gift of the Holy Spirit. 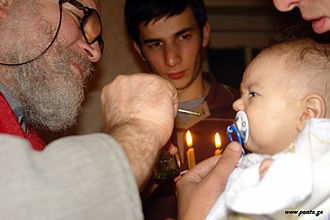 Although the New Testament does not refer to Isaiah 11:1-2 regarding these gifts, Roman Catholicism teaches that initiates receive them at Baptism and that they are strengthened at Confirmation, so that one can proclaim the truths of the faith: "The reception of the sacrament of Confirmation is necessary for the completion of baptismal grace." For "by the sacrament of Confirmation, [the baptized] are more perfectly bound to the Church and are enriched with a special strength of the Holy Spirit. Hence they are, as true witnesses of Christ, more strictly obliged to spread and defend the faith by word and deed." According to the Catechism of the Catholic Church, these gifts "complete and perfect the virtues of those who receive them." Wisdom is considered the first and the greatest of the gifts. It acts upon both the intellect and the will. According to St. Bernard, it both illumines the mind and instills an attraction to the divine. Adolphe Tanquerey OP explained the difference between the gift of wisdom and that of understanding: "The latter is a view taken by the mind, while the former is an experience undergone by the heart; one is light, the other love, and so they unite and complete one another." A wise and loving heart is the perfection of the theological virtue of charity. Understanding helps one relate all truths to one's supernatural purpose; it further illuminates one's understanding of Sacred Scripture; and it assists us to understand the significance of religious ritual. This all gives us a profound appreciation for God’s providence. Knowledge: The gift of knowledge allows one, as far as is humanly possible, to see things from God's perspective. It “allows us to perceive the greatness of God and his love for his creatures” through creation. Piety accords with reverence. A person with reverence recognizes his total reliance on God and comes before God with humility, trust, and love. Thomas Aquinas says that piety perfects the virtue of religion, which is an aspect of the virtue of justice, in that it accords to God that which is due to God. In a series of talks on the Gifts of the Holy Spirit, Pope Francis said that piety is a recognition of "our belonging to God, our deep bond with him, a relationship that gives meaning to our whole life and keeps us resolute, in communion with him, even during the most difficult and troubled moments”. Francis goes on: "Piety is not mere outward religiosity; it is that genuine religious spirit which makes us turn to the Father as his children and to grow in our love for others, seeing them as our brothers and sisters." Fear of the Lord is akin to wonder (or awe). With the gift of fear of the Lord, one is made aware of the glory and majesty of God. 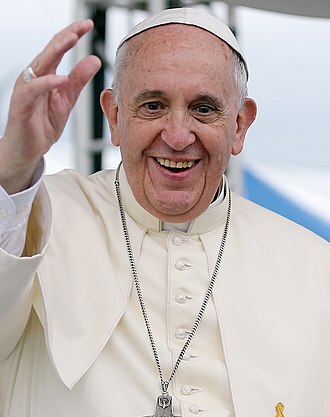 At a June 2014 general audience Pope Francis said that it “is no servile fear, but rather a joyful awareness of God’s grandeur and a grateful realization that only in him do our hearts find true peace”. A person with wonder and awe knows that God is the perfection of all one desires. This gift is described by Aquinas as a fear of separating oneself from God. He describes the gift as a "filial fear," like a child's fear of offending his father, rather than a "servile fear," that is, a fear of punishment. Fear of the Lord is the beginning of wisdom. It is the perfection of the theological virtue of hope. In Summa Theologiae I.II, q. 68, a1, Saint Thomas Aquinas says that four of these gifts (wisdom, understanding, knowledge, and counsel) direct the intellect, while the other three gifts (fortitude, piety, and fear of the Lord) direct the will toward God. In some respects, the gifts are similar to the virtues, but a key distinction is that the virtues operate under the impetus of human reason (prompted by grace), whereas the gifts operate under the impetus of the Holy Spirit; the former can be used when one wishes, but the latter, according to Aquinas, operate only when the Holy Spirit wishes. In the case of Fortitude, the gift has, in Latin and English, the same name as the virtue which it is related to, but from which it must be distinguished. The gift of wisdom corresponds to the virtue of charity. The gifts of understanding and knowledge correspond to the virtue of faith. The gift of counsel (right judgment) corresponds to the virtue of prudence. The gift of fortitude corresponds to the virtue of courage. The gift of Reverence corresponds to the virtue of justice. 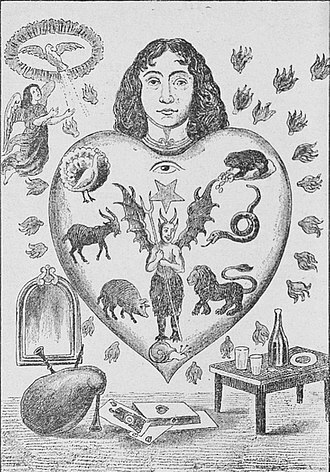 To the virtue of temperance, no Gift is directly assigned; but the gift of fear can be taken as such, since fear drives somebody to restrict himself from forbidden pleasures. The Rev. Brian Shanley contrasts the gifts to the virtues this way: "What the gifts do over and above the theological virtues (which they presuppose) is dispose the agent to the special promptings of the Holy Spirit in actively exercising the life of the virtues; the gifts are necessary for the perfect operations of the virtues, especially in the face of our human weakness and in difficult situations." 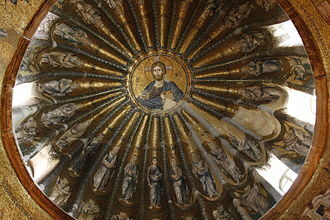 Saint Augustine drew a connection between the gifts of the Holy Spirit and the Beatitudes (Matt.5:3-12). Blessed are the poor in spirit, for theirs is the kingdom of heaven, reflects Fear of the Lord as the "poor in spirit" are the humble and God-fearing. 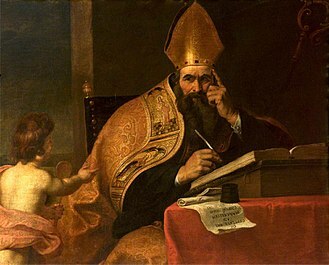 Blessed are they who mourn, for they will be comforted, corresponds to the Gift of Knowledge, as for Augustine the knowledge of God brings both an increased awareness of personal sin, and to some extent grieving at the abandonment of practices and activities that separate one from God. Blessed are they who hunger and thirst for righteousness, for they will be satisfied, pertains to Fortitude. Blessed are the merciful, for they will be shown mercy demonstrates the Gift of Counsel. Blessed are the clean of heart, for they will see God, the Gift of Understanding. Blessed are the peacemakers, for they will be called children of God, Wisdom. 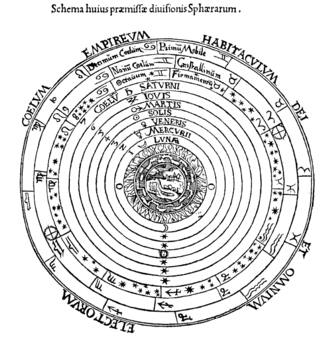 ^ For example, see Victorinus, Commentarii in Apocalypsim Iohannis 1, 4: Septiformem spiritum in Esaia legimus '(Esa., XI, 2), spiritum' videlicet 'sapientiae et intellectus, consilii et fortitudinis, scientiae et pietatis, spiritum amorem Domini.' Authors such Augustine, Hilary of Poitiers, and John Cassian all speak of the gifts with familiarity. ^ Macfarlane, Bruce (2008). Researching with Integrity. The Ethics of Academic Enquiry. 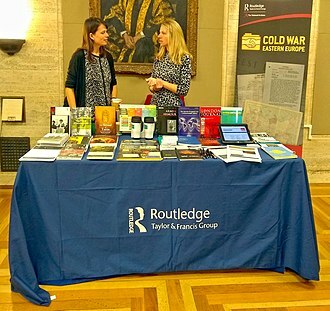 London: Routledge. p. 36. ISBN 978-0-203-88696-0. ISBN 0-20388696-8. 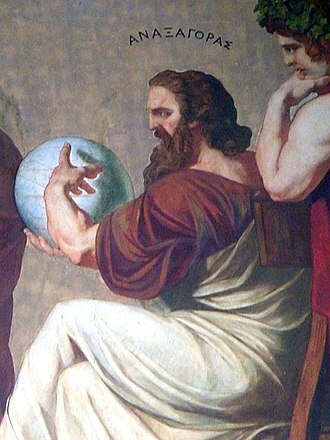 The theoretical, intellectual virtues consist of philosophical wisdom (sophia), scientific or empirical knowledge (episteme), and intuitive understanding (nous). In addition to these three is the virtue of practical wisdom. also known as prudence (phronesis) and the productive virtues of art, skill, and craft knowledge (techne). ^ Stump, Eleonore (1998). Kretzmann, Norman; MacDonald, Scott Charles; Stump, Eleonore, eds. Aquinas' Moral Theory. Essays in honor of Norman Kretzmann. Ithaca, New York: Cornell University Press. p. 49. ISBN 978-0-801-43436-5. ISBN 0-80143436-X. Besides the five intellectual virtues and the seven gifts of the Holy Spirit, Aquinas recognizes four other groups of ethical characteristics which are important for his discussion of wisdom. ^ Walters, Barbara R.; Corrigan, Vincent Justus; Ricketts, Peter T., eds. (2006). The Feast of Corpus Christi. University Park, Pennsylvania: Penn State Press. p. 451. ISBN 978-0-271-04831-4. ISBN 0-27104831-X. set grasces: these are the seven gifts of the Holy Spirit, which, in the Middle Ages, were probably codified by Thomas Aquinas...cf. Isaias 11: 2–3. ^ Lane Fox, Robin (2015). Augustine. Conversions to Confessions. London: Penguin UK. p. 504. ISBN 978-0-141-96548-2. ^ MacArthur, John (2011). Luke 1-17 MacArthur New Testament Commentary Set. Chicago: Moody Publishers. pp. 347ff. ISBN 978-0-802-48263-1. 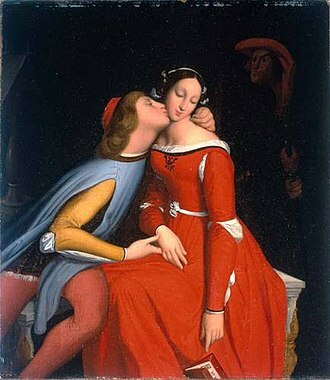 ^ Cantalamessa, Raniero (2003). Come, Creator Spirit. Meditations on the Veni Creator. Collegeville, Minnesota: Liturgical Press. p. 175. ISBN 978-0-814-62871-3. ISBN 0-81462871-0. The text from which it takes its rise is Isaiah 1 1:1,3. In the Hebrew original six gifts are listed, and the last, fear, is mentioned twice: wisdom, understanding, counsel, fortitude, knowledge, and fear of the Lord. ^ "katapi New Study Bible: Parallel Greek English Old Testament". Septuagint Compiled from the Translation by Sir Lancelot C. L. Brenton, 1851. Retrieved 14 June 2013. 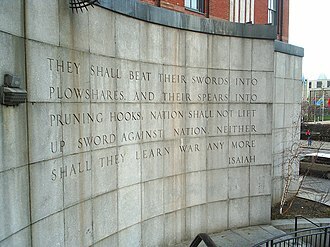 ^ Isaiah 11:1-3 (New International Version). ^ "Online Greek OT (Septuagint/LXX) UTF8". Retrieved 17 February 2014. 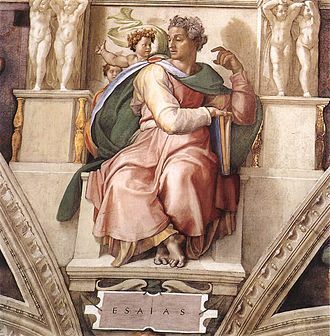 ^ Isaias 11:1-3 (Biblia Sacra Vulgata). ^ Anlezark, Daniel (2010). Godden, Malcolm; Keynes, Simon; Blackburn, Mark, eds. Anglo-Saxon England (Volume 38). Cambridge University Press. p. 142. ISBN 978-0-521-19406-8. ISBN 0-52119406-7. ^ Rolle, Richard (1988). Jeffrey, David Lyle, ed. English Spirituality in the Age of Wyclif. Vancouver: Regent College Publishing. p. 174. ISBN 978-1-573-83185-7. ISBN 1-57383185-9. ^ One or more of the preceding sentences incorporates text from a publication now in the public domain: Herbermann, Charles, ed. (1913). "Summa Theologiae III, 39, q. 66, a6. The baptizing of Christ. Article 6. Whether it is fitting to say that when Christ was baptized the Holy Ghost came down on Him in the form of a dove? Reply to Objection 4". Catholic Encyclopedia. New York: Robert Appleton. ^ Erickson, Millard J. (1992). Introducing Christian Doctrine. Grand Rapids, Michigan: Baker Publishing Group. ISBN 978-0-801-03215-8. ISBN 0-80103215-6. 2nd ed. 2001. Chapter Thirty - "The work of the Holy Spirit" (pp. 275ff.). ISBN 978-0-801-02250-0. ISBN 0-80102250-9. ^ Shaw, Russell; Stravinskas, Peter M. J. (1998). Our Sunday Visitor's Catholic Encyclopedia. Huntington, Indiana: Our Sunday Visitor Publishing. p. 457. ISBN 978-0-879-73669-9. ISBN 0-87973669-0. ^ Tanquerey, Adolphe. The Spiritual Life, §§ 1348 & 1349. ^ Pope, Charles. "Distinguishing Knowledge, Wisdom and Understanding", Community in Mission, July 19, 2010. ^ Harris, Elise. "Pope Francis: gift of counsel illuminates the will of God", Catholic News Agency, May 7, 2014. ^ Rickaby, John. "Fortitude." The Catholic Encyclopedia Vol. 6. New York: Robert Appleton Company, 1909. 3 September 2017. ^ Harris, Elise. "Gift of knowledge attunes us to vision of God, Pope says", Catholic News Agency, May 21, 2014. ^ Delany, Joseph. "Virtue of Religion." The Catholic Encyclopedia Vol. 12. New York: Robert Appleton Company, 1911. 1 September 2017]. ^ "Piety is embracing God and others with real love, not fake devotion, says Pope | CatholicHerald.co.uk". CatholicHerald.co.uk. 2014-06-04. Retrieved 2018-07-28. ^ Harris, Elise. "Pope: Fear of the Lord an alarm reminding us of what's right", Catholic News Agency, June 11, 2014. ^ One or more of the preceding sentences incorporates text from a publication now in the public domain: Herbermann, Charles, ed. (1913). "Summa Theologiae. First Part of the Second Part (Prima Secundæ Partis). Question 68. The gifts. Article 1. Whether the Gifts differ from the virtues?". Catholic Encyclopedia. New York: Robert Appleton. ^ One or more of the preceding sentences incorporates text from a publication now in the public domain: Herbermann, Charles, ed. (1913). "Summa Theologiae. Second Part of the Second Part (Secunda Secundæ Partis)". Catholic Encyclopedia. New York: Robert Appleton. ^ Shanley, Brian. Review of Knowledge and Faith in Thomas Aquinas by John I. Jenkins. The Thomist 63 (1999), p. 318. ^ Augustine. "On the Sermon on the Mount, Book I", Nicene and Post-Nicene Fathers, First Series, Vol. 6. (William Findlay, trans. ), (Philip Schaff, ed.) (Buffalo, NY: Christian Literature Publishing Co., 1888. Works of mercy are practices which Christians perform. The practice is common in the Catholic Church as an act of penance and charity. In addition, the Methodist church teaches that the works of mercy are a means of grace which lead to holiness, the works of mercy have been traditionally divided into two categories, each with seven elements, Corporal works of mercy which concern the material needs of others. Spiritual works of mercy which concern the spiritual needs of others, another notable devotion associated with the works of mercy is the Divine Mercy, which are reputed to be apparitions of Jesus Christ to Saint Faustina Kowalska. Based on Jesus doctrine of the sheep and the goats, the corporal and spiritual works of mercy are a means of grace as good deeds and these works may require a definitely superior level of authority or knowledge or an extraordinary amount of tact. The other works of mercy, are considered to be an obligation of all faithful to practise unconditionally, in an address on the 2016 World Day of Prayer for Creation, Pope Francis suggested care for creation as a new work of mercy. Corporally, it means simple daily gestures of peace and love, Corporal works of mercy are those that tend to the bodily needs of other creatures. They come from Isaiah 58 and the mitzvah of hospitality, the seventh work of mercy comes from the Book of Tobit and from the mitzvah of burial, although it was not added to the list until the Middle Ages. The works include, To feed the hungry, to give water to the thirsty. To visit the imprisoned, or ransom the captive, just as the corporal works of mercy are directed towards relieving corporeal suffering, the aim of the spiritual works of mercy is to relieve spiritual suffering. The works include, To instruct the ignorant, to bear patiently those who wrong us. To pray for the living and the dead, in Methodist teaching, doing merciful acts is a prudential means of grace. 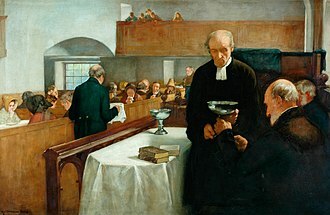 Along with works of piety, they are necessary for the believer to move on to Christian perfection, in this sense, the Methodist concern for people at the margins is closely related to its worship. 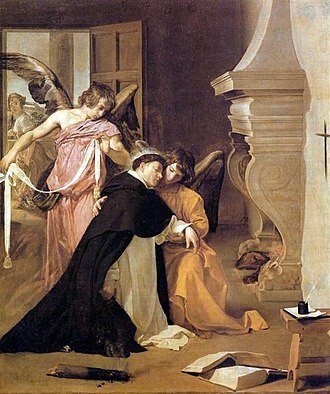 The Summa Theologiæ is the best-known work of Thomas Aquinas. Although unfinished, the Summa is one of the classics of the history of philosophy and it was intended as an instructional guide for theology students, including seminarians and the literate laity. It was a compendium of all of the theological teachings of the Catholic Church. It presents the reasoning for almost all points of Christian theology in the West, the Summas topics follow a cycle, the existence of God, Man, Mans purpose, the Sacraments, and back to God. 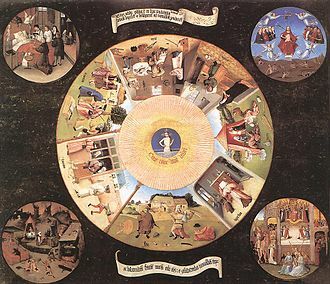 The Summa is Aquinas most perfect work, the fruit of his mature years, among non-scholars, the Summa is perhaps most famous for its five arguments for the existence of God, which are known as the five ways. The five ways, occupy under two pages of the Summas approximately 3,500 pages and he completed the Prima Pars in its entirety and circulated it in Italy before departing to take up his second regency as professor at the University of Paris. The Summa is composed of three parts, each of which deals with a major subsection of Christian theology. Each part contains several questions, each of which revolves around a more specific subtopic, each question contains several articles phrased as interrogative statements dealing with specific issues, such as Whether Christ should have led a life of poverty in this world. The Summa has a format for each article. 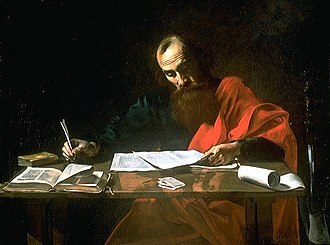 A series of objections to the conclusion are given, one such objection, a short counter-statement, beginning with the phrase sed contra, is given, this statement almost always references authoritative literature, such as the Bible, Aristotle, or the Church Fathers. The actual argument is made, this is generally a clarification of the issue. For example, Aquinas states that it was fitting for Christ to lead a life of poverty in this world for four distinct reasons, individual replies to the preceding objections are given, if necessary. These replies range from one sentence to several paragraphs in length and this method of exposition is derived from Averroes, to whom Aquinas refers respectfully as the Commentator. Saint John Cassian, John the Ascetic, or John Cassian the Roman, was a Christian monk and theologian celebrated in both the Western and Eastern Churches for his mystical writings. Cassian is noted for his role in bringing the ideas and practices of Christian monasticism to the early medieval West, Cassian was born around 360, most likely in the region of Scythia Minor, although some scholars assume a Gallic origin. The son of parents, he received a good education, his writings show the influence of Cicero. He was bilingual in Latin and Greek, Cassian mentions having a sister in his first work, the Institutes, with whom he corresponded in his monastic life, she may have ended up with him in Marseilles. As a young adult he traveled to Palestine with an older friend Germanus, there they entered a hermitage near Bethlehem. After remaining in that community for three years, they journeyed to the desert of Scete in Egypt, which was rent by Christian struggles. There they visited a number of monastic foundations, approximately fifteen years later, about 399, Cassian and Germanus faced the Anthropomorphic controversy provoked in letter form by Theophilus, Archbishop of Alexandria. Cassian noted that the majority of the received the message of their patriarch with bitterness. Following an unsuccessful journey to Alexandria to protest the matter, Cassian and Germanus went to Constantinople, where they appealed to the Patriarch of Constantinople, Saint John Chrysostom, for protection. Cassian was ordained a deacon and was made a member of the attached to the Patriarch while the struggles with the imperial family ensued. When the Patriarch was forced into exile from Constantinople in 404, while he was in Rome, Cassian accepted the invitation to found an Egyptian-style monastery in southern Gaul, near Marseilles. He may have spent time as a priest in Antioch between 404 and 415, in any case, he arrived in Marseilles around 415. His foundation, the Abbey of St Victor, was a complex of monasteries for men and women, one of the first such institutes in the West, and served as a model for monastic development. Cassians achievements and writings influenced Saint Benedict, who incorporated many of the principles into his monastic rule, Cassian died in 435 at Marseille. The practice of charity means the voluntary giving of help to those in need, as a humanitarian act. The word charity entered the English language through the Old French word charité, originally in Latin the word caritas meant preciousness, high price. From this, in Christian theology, caritas became the standard Latin translation for the Greek word agape, the English word more generally used for this concept, both before and since, is the more direct love. D. While the methods of giving may vary, there are three kinds of charity, pure and foreign. Public charity is charity that benefits the whole rather than the individual, foreign charity is when the beneficiary lives in a country different from where the funds or services are being sent from. Charitable giving is the act of giving money, goods or time to the unfortunate, Charitable giving as a religious act or duty is referred to as almsgiving or alms. The name stems from the most obvious expression of the virtue of charity, the impoverished, particularly those widowed or orphaned, and the ailing or injured, are generally regarded as the proper recipients of charity. The people who support themselves and lack outside means of support sometimes become beggars. Some groups regard charity as being distributed towards other members from within their particular group, donations to causes that benefit the unfortunate indirectly, such as donations to fund cancer research, are charity. 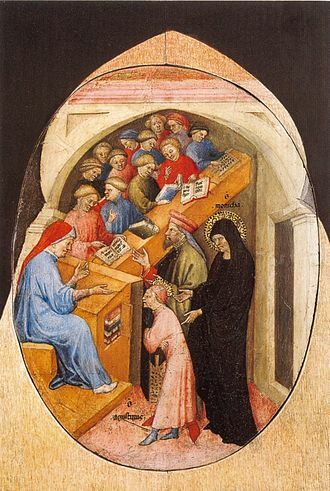 With regards to religious aspects, the recipient of charity may offer to pray for the benefactor, in medieval Europe, it was customary to feast the poor at the funeral in return for their prayers for the deceased. Institutions may commemorate benefactors by displaying their names, up to naming buildings or even the institution itself after the benefactors, if the recipient makes material return of more than a token value, the transaction is normally not called charity. In the past century, many organizations have created a charitable model in which donators give to conglomerates give to recipients. Examples of this include the Make a Wish Foundation and the World Wildlife Fund, today some charities have modernized, and allow people to donate online, through websites such as JustGiving. Hilary of Poitiers was Bishop of Poitiers and is a Doctor of the Church. 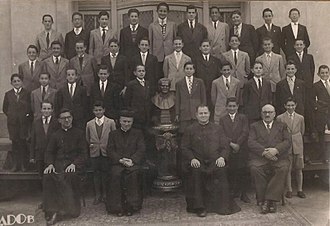 He was sometimes referred to as the Hammer of the Arians and his name comes from the Latin word for happy or cheerful. His optional memorial in the General Roman Calendar is 13 January, in the past, when this date was occupied by the Octave Day of the Epiphany, his feast day was moved to 14 January. Hilary was born at Poitiers either at the end of the 3rd or beginning of the 4th century A. D and his parents were pagans of distinction. He received a good education, which included a high level of Greek. 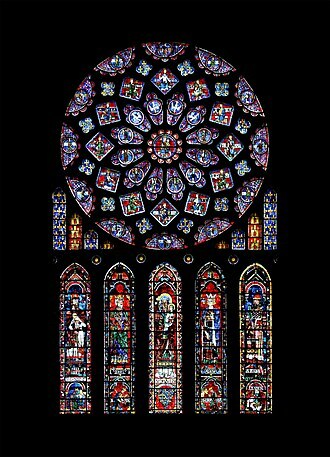 The Christians of Poitiers so respected Hilary that about 350 or 353, at that time Arianism threatened to overrun the Western Church, Hilary undertook to repel the disruption. About the same time, Hilary wrote to Emperor Constantius II a remonstrance against the persecutions by which the Arians had sought to crush their opponents, other Historians refer to this first book to Constantius as Book Against Valens, of which only fragments are extant. Hilary spent nearly four years in exile, although the reasons for this banishment remain obscure, the traditional explanation is that Hilary was exiled for refusing to subscribe to the condemnation of Athanasius and the Nicene faith. More recently several scholars have suggested that opposition to Constantius. The De trinitate libri XII, composed in 359 and 360, was the first successful expression in Latin of that Councils theological subtleties originally elaborated in Greek. Hence they who deny that Christ is the Son of God must have Antichrist for their Christ, was the way he stated it, in his classic introduction to the works of Hilary, Watson summarizes Hilary’s points, “They were the forerunners of Antichrist. They bear themselves not as bishops of Christ but as priests of Antichrist and this is not random abuse, but sober recognition of the fact, stated by St. John, that there are many Antichrists. For these men assume the cloak of piety, and pretend to preach the Gospel and it was the misery and folly of the day that men endeavoured to promote the cause of God by human means and the favour of the world. The Beatitudes are eight blessings recounted in the Sermon on the Mount in the Gospel of Matthew. Each is a proclamation, without narrative, precise. Each one includes a topic that forms a major biblical theme, four of the blessings appear in the Sermon on the Plain in the Gospel of Luke, followed by four woes which mirror the blessings. The term beatitude comes from the Latin noun beātitūdō which means happiness, in the Vulgate, the book of Matthew titles this section Beatitudines, and Beatitudes was anglicized from that term. Each Beatitude consists of two phrases, the condition and the result, in almost every case the condition is from familiar Old Testament context, but Jesus teaches a new interpretation. Together, the Beatitudes present a new set of Christian ideals that focus on a spirit of love and humility different in orientation than the usual force and they echo the ideals of the teachings of Jesus on mercy and compassion. While opinions may vary as to exactly how many distinct statements into which the Beatitudes should be divided and these eight of Matthew follow a simple pattern, Jesus names a group of people normally thought to be unfortunate and pronounces them blessed. The nine Beatitudes in Matthew 5, 3–12 during the Sermon on the Mount, Blessed are the poor in spirit, for theirs is the kingdom of Heaven. Blessed are those who mourn, for they will be comforted, Blessed are the meek, for they will inherit the earth. Blessed are those who hunger and thirst for righteousness, for they will be filled, Blessed are the merciful, for they will be shown mercy. Blessed are the pure in heart, for they will see God, Blessed are the peacemakers, for they will be called children of God. Blessed are those who are persecuted for righteousness sake, for theirs is the kingdom of heaven, Blessed are you when others revile you and persecute you and utter all kinds of evil against you falsely on my account. The other four have similar entries in Luke, but are followed almost immediately by four woes, the four Beatitudes in Luke 6, 20–22 are set within the Sermon on the Plain. Verse 20 introduces them by saying, and he lifted up his eyes on his disciples, Blessed are ye that hunger now, for ye shall be filled. The Sayings of Jesus on the cross are seven expressions biblically attributed to Jesus during his crucifixion. 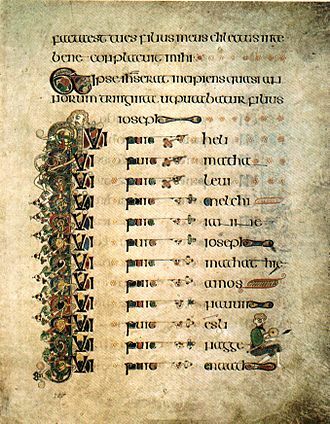 Traditionally, the brief sayings have been called words and they are gathered from the four Canonical Gospels. Three of the sayings appear only in the Gospel of Luke, the other saying appears both in the Gospel of Matthew and the Gospel of Mark. In Matthew and Mark, Jesus cries out to God, in Luke, he forgives his killers, reassures the penitent thief, and commends his spirit to the Father. In John, he speaks to his mother, says he thirsts, a persons final articulated words said prior to death or as death approaches generally are taken to have particular significance in meaning. These seven sayings, being last words, may provide a way to understand what was important to this man who was dying on the cross. The sparsity of sayings recorded in the biblical accounts suggests that Jesus remained relatively silent for the hours he hung there, since the 16th century they have been widely used in sermons on Good Friday, and entire books have been written on theological analysis of them. The Seven Last Words from the Cross are a part of the liturgy in the Anglican, Protestant. Several composers have set the Seven Last Words to music, the seven sayings form part of a Christian meditation that is often used during Lent, Holy Week and Good Friday. The traditional order of the sayings are, Luke 23,34, forgive them, Luke 23,43, Truly, I say to you, today you will be with me in paradise. John 19, 26–27, behold your son, Matthew 27,46 & Mark 15,34 My God, My God, why have you forsaken me. Luke 23,46, into your hands I commend my spirit, these seven sayings are called words of 1. As can be seen from the above list, not all seven sayings can be found in any one account of Jesus crucifixion, the ordering is a harmonisation of the texts from each of the four canonical gospels. In the gospels of Matthew and Mark, Jesus is quoted in Aramaic, shouting the phrase only. In Lukes Gospel, the first and seventh sayings occur, the third and sixth sayings can only be found in Johns Gospel. In other words, In Matthew and Mark, My God, My God and this first saying of Jesus on the cross is traditionally called The Word of Forgiveness. Stained glass window at Christ Church Cathedral in Dublin, depicting the Fruit of the Holy Spirit along with role models representing them, i.e. the Good Shepherd representing love, an angel holding a scroll of Gloria in excelsis Deo representing joy and Jesus Christ, Job representing longsuffering, Jonathan faith, Ruth gentleness and goodness, Moses meekness, and John the Baptist temperance. 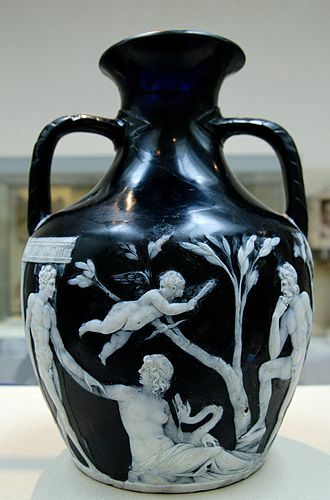 Executed by Hardman & Co. in the 1870s.